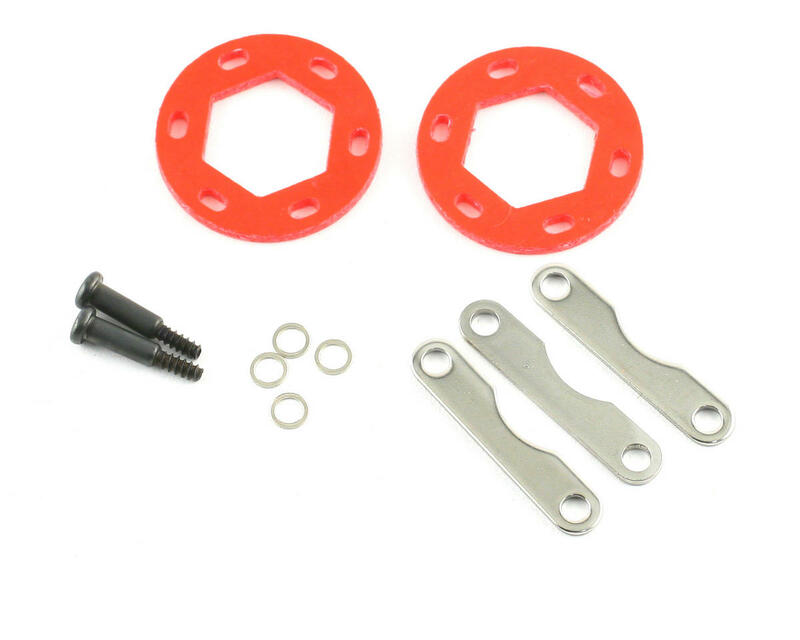 This is a replacement HPI Dual Fiberglass Brake Disc Plate Set. Bring your high-powered Savage to a quick stop and add a bit of flash to the drivetrain with these bright red fiberglass disc brakes. 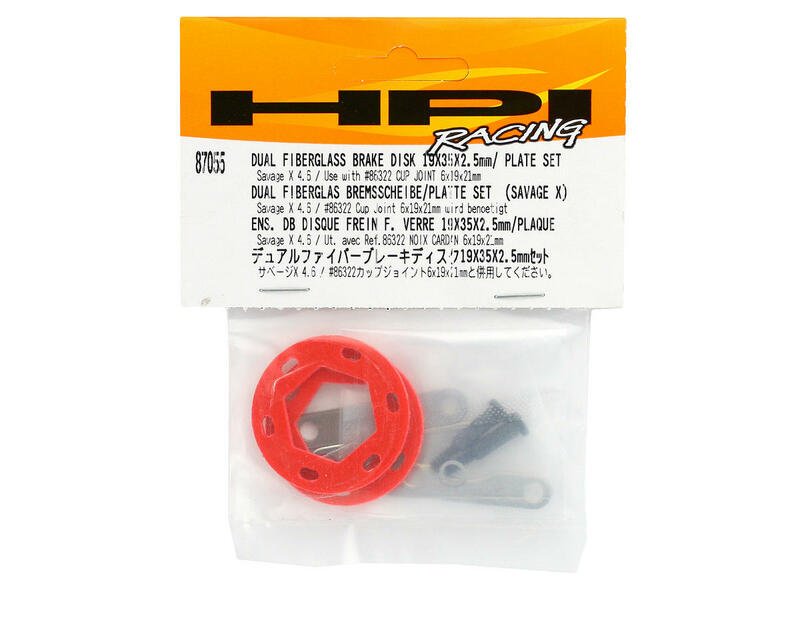 For use with HPI86322 Cup Joints. Un peut déçu de cet article qui a cassé après 2 sortie. Je m'attendais quand même à une meilleur qualité et m'attendais a ce que les disque dure plus longtemps. Very disappointed with this (plastic) brake pad. It tore in half and got stuck in my engine clutch. They don't last nearly as long at the metal pads do do. I prefer the metal disk with fiberglass pads. Much better choice than this dual setup! This brake set is sweet. Swapped out those metal dual disks for these, now my truck stops on a dime.